After years of collecting and promoting Indigenous art, Elaine Monds, winner of the YWCA Women of Distinction Award (2001) and recipient of the Queen’s Diamond Jubilee Medal (2012), has passed over control of the Alcheringa Gallery to new owners, Mark and Mary Loria. Preview caught up with Mark Loria to ask about his past experience and future plans. Preview: Will Elaine Monds continue to participate in Alcheringa? Loria: She will continue to advise us on the gallery moving forward. We are indebted and extremely grateful for Elaine’s founding and direction of the gallery over 30 years. She is an instrumental figure in supporting Canadian and international Indigenous artists. Preview: How long have you and your wife, Mary Loria, been involved in the arts? Loria: My wife, Mary, and I have lived a life in the arts. We actually met at the University of Calgary in the early ’90s in a Bill Laing silkscreen class. I have a BFA in printmaking and Mary has a BA in art history. Preview: When did you first become aware of Indigenous art and artists? Loria: My first experience with Indigenous art was as an elementary student at the Glenbow Museum in Calgary. I was fascinated and intrigued. I think I have followed the latest trajectory of contemporary Indigenous practice for many years now. 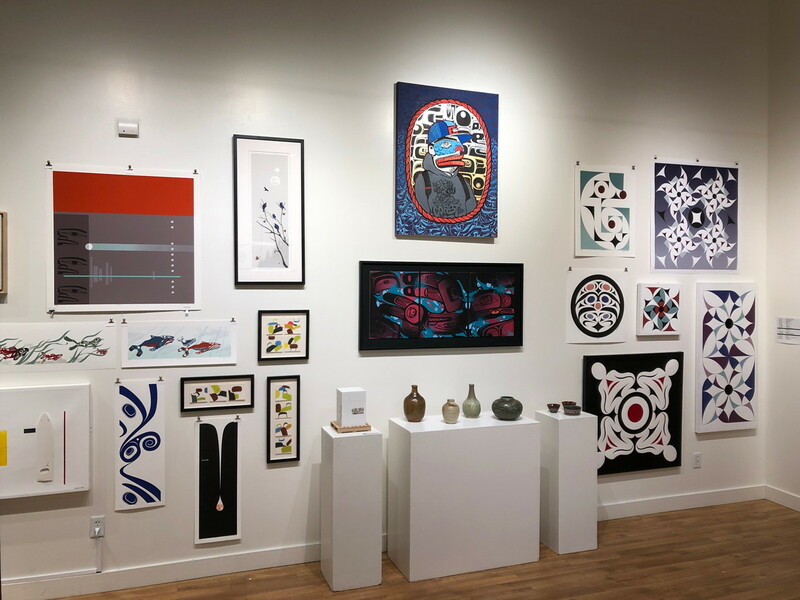 As a printmaker, I have always been drawn to the printmaking of Northwest Coast art, specifically Coast Salish art given its subtlety of form and symbols, and use of line and colour. Preview: Can sharing, exhibiting and selling Indigenous art open doors to reconciliation in Canada? Loria: I have always believed in the power of art and culture as the number one way to make our world a better place. Art speaks without languages, and di erent cultures seem to have strong appreciation for the sacredness of the other’s artmaking and sharing of cultures. There are many Indigenous artists in Canada who have been at the forefront of the “truth” part of truth and reconciliation for decades. There has been a lot of discussion lately about how reconciliation is mentioned instead of, or before, the “truth” in truth and reconciliation – I would agree. These artists are sharing extremely personal histories and emotions of generational wrongs, and their works are some of the most powerful symbols of where we have been, and where we need to go in Canada… We all have a lot to learn, but I do believe we have the most to learn from the teachings of our First Peoples.